While Taiyaki is a must-get snack in Tokyo, its ancestor imagawayaki is also worth your snack time. Imagawayaki has its roots in the Kanda neighbourhood in Tokyo. It thanks its name to a shop located near Imagawabashi bridge over 200 years ago during the Edo period. 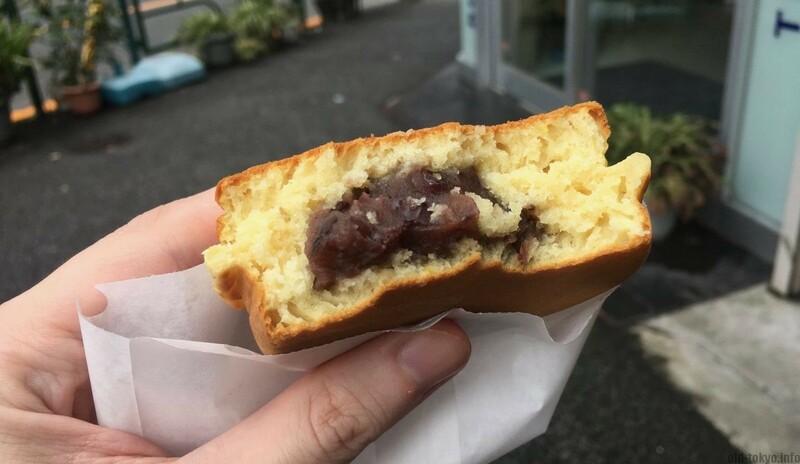 This sweet looks like two small pancakes put on top of each other with a filling inside, traditionally azuki sweet red beans. It spread from Tokyo to the rest of Japan and is known under various names depending on the region. For example, it is called Ōban-yaki in the Kansai region, Oyaki in Aomori and Hokkaido, and Kaiten-yaki both in the Kansai region and Kyushu. Same as taiyaki there are many fillings available for imagawayaki. Flavours include sweet white beans (shiroan), custard cream, chocolate, fruit and even cheese. This sweet is widely available in supermarkets, department stores and selected speciality shops. It is also a popular sweet during temple and shrine festivals. While taiyaki is often available in stores and stalls that exclusively sell taiyaki, imagawayaki is often sold together with other items. However, a few dedicated imagawayaki stalls are still around in Tokyo. One of these stalls is in Sendagi (part of the Yanesen neighoubourhood including Yanaka and Nezu). 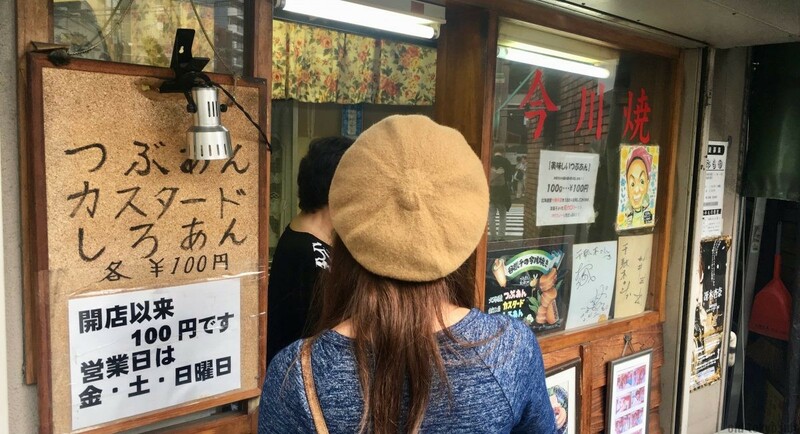 An oba-san (elderly lady) makes you the traditional freshly made Imagawayaki for JPY 100. There is a small bench in front of the store where you can take break to devour your little treat. Three flavours are available: tsubuan (this is the original azuki sweet red beans filling), shiroan (white bean filling) and custard cream (popularized after world war II). I like the limited selection of flavours as you can expect each flavour will likely be good. 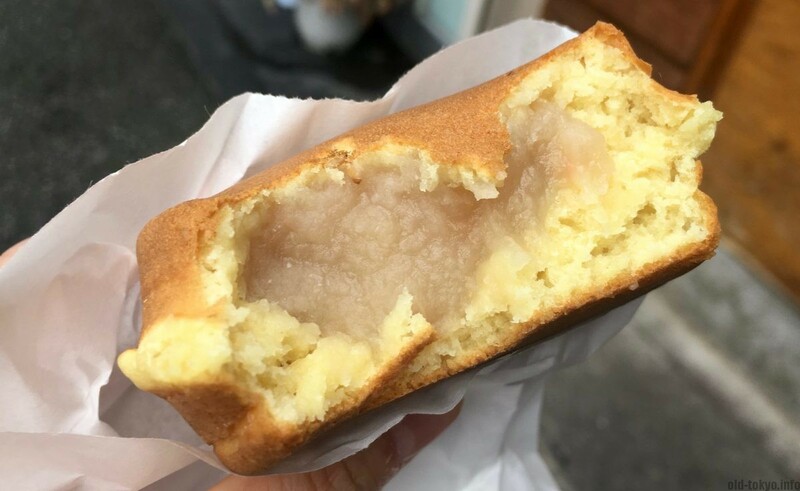 The shop is very close to Sendagi station and the taste of the imagawayaki is not too sweet, just the right amount of sweetness to make it the perfect dessert. The shop looks old, but is in fact not that old. 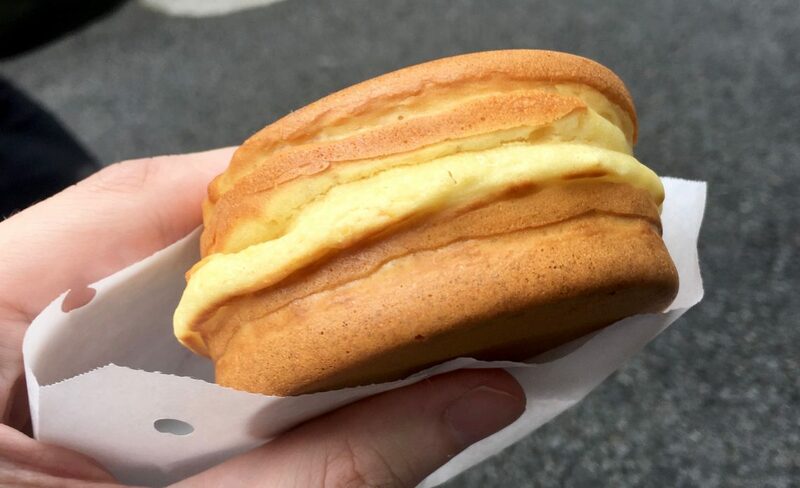 It was opened in 2004 in order to let people taste the original flavour imagawayaki from shitamachi. Mission accomplished. Opening hours: 11:00-19:00 on Friday, Saturday and Sunday only.